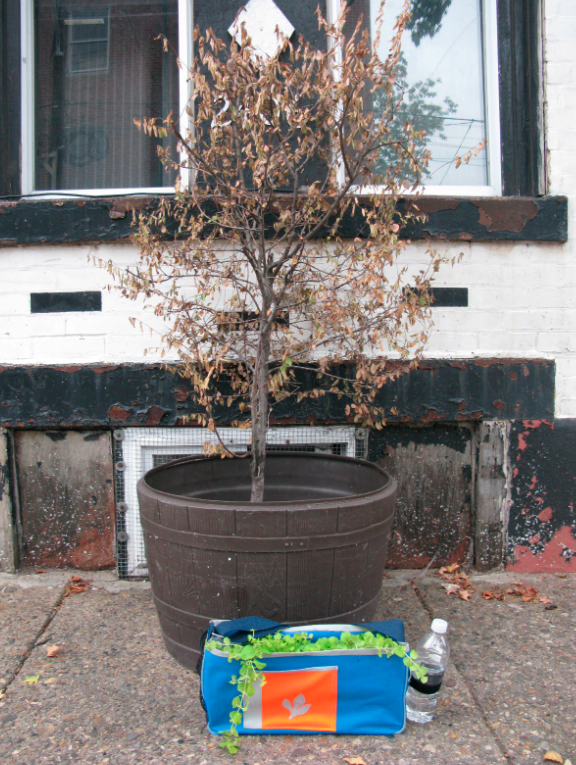 This tree was in Kensington, Philadelphia. Most places on this block were brown, and had seen more care. Places like this are good for resting a mobile garden to add some life and color to the neighborhood. When you are done you can plant your bag, leave for a while or take it with you.